“At the COMTRANS commercial vehicle show in Moscow, Daimler Trucks and the Russian truck manufacturer Kamaz presented another milestone of their partnership: the public unveiling of their first jointly developed truck. 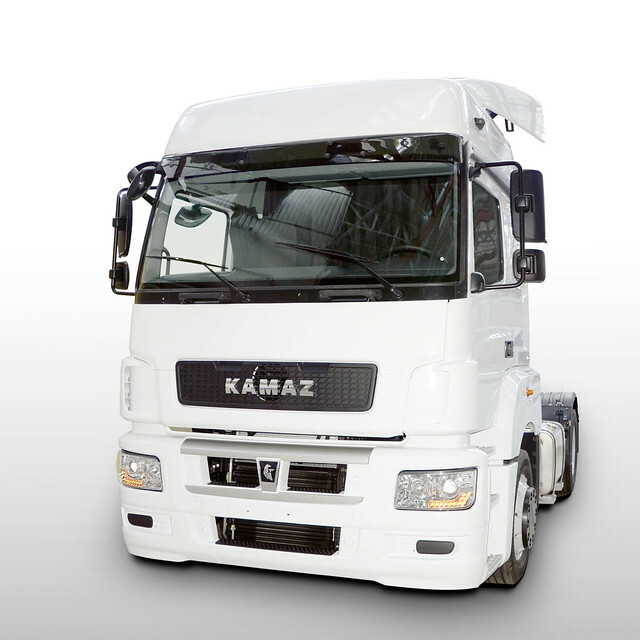 The new Kamaz truck is equipped with Daimler Trucks components which Kamaz has modified for the Russian market. This entry was posted in Mercedes Benz, NEWS by truckbloguk. Bookmark the permalink. its a bit MAN looking. to be fair, if its as half as good as the ZIL which als hails from the soviet then it will be a winner. lets face it, i don’t think they will ever cut the mustard in the western world but in their already eastablished markets i think its a step into the future.